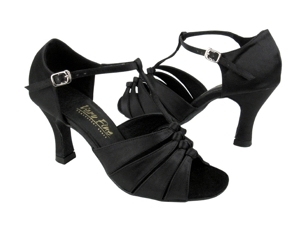 Heel: -25 2.5" Low Heel, matching Black Satin covered and with leather toplift. Heel: -30 3.0" Low Heel, matching Black Satin covered and with leather toplift. 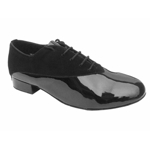 Sole: Sueded split leather extended and finished to heel bottom. Tan color.